It was announced that anime film “Princess Mononoke“, which Studio Ghibli released in 1997, will be getting a stage play adaptation in London. 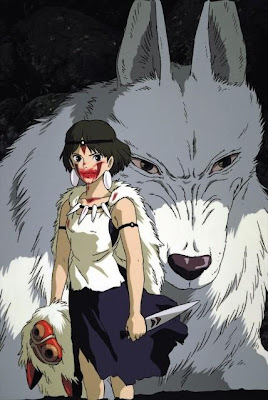 “Princess Mononoke” was written and directed by Miyazaki Hayao, and it was the first animation film to receive the Best Picture of the Japan Academy Awards. This adaptation is the collaboration between Studio Ghibli and theater company, Whole Hog Theatre. Reportedly, the plan was already made a couple of years ago, but it took over a year to make a theatrical adaptation. Though the details on the play have not been revealed yet, the music for the play will be newly written. Moreover, as the story tells the disharmony between civilization and nature that raises an environmental issue, giant puppets made from recycled materials will make appearances in the play. This play will be presented at New Diorama Theatre in London during April 2nd ~ 6th 2013, and there is no plan on bringing it to Japan at this moment. Also, all the tickets for the play have already been sold out.